Rifle Used In Dixon School Shooting Bought By Teen's Mom: ISP The 9mm semi-automatic rifle the 19-year-old brought to his former high school's graduation rehearsal was purchased by his mother in 2012. Jordan Peterson, Custodian of the Patriarchy: He says there's a crisis in masculinity. Why won't women—all these wives and witches—just behave? Jordan Peterson has much to say about the first three headlines. He has become something of a celebrity, talking a lot of sense about boys becoming men and about manhood and taking responsibility. He is the target of this New York Times hit piece. 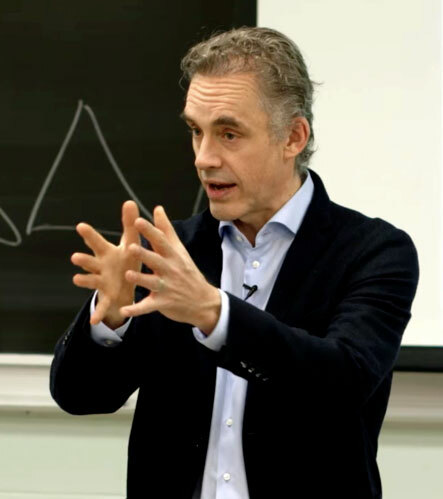 Peterson is not any sort of orthodox Christian, and is fond of citing evolutionary and Jungian explanations, along with biblical and mythological elements. He is not charismatic, a clinical psychologist, who obviously has tapped into a crying need in our society but is loathed by the liberal elite who preside over the sexual and familial meltdown of the West. I would be surprised if fatherlessness were not the number one predictor of criminality. I recall a veteran Texas prison chaplain who said he often asked prisoners if they were raised by their biological fathers. The vast majority-well over 90 percent—were not. This is one reason why patriarchy is important for the health of a society. Read that carefully. I did not say male chauvinism or male dominance or male privilege or misogyny, which some assume is meant by the "code word" patriarchy. Patriarchy is based on the word pater, father, and I am particularly thinking of fatherhood: young men are formed not by a flood of male hormones or dangerous masculine bravado or the oppression or sexual use of women, but by the prospect of fatherhood. Patriarchy is about fatherhood. It is where fathers raise boys and young men to become fathers. A whole generation, or neighborhood, of boys without fathers will succumb to the chaos of Beelzebub, Lord of the Flies. Victims hope policemen will protect them. Someone suggested that Peterson would be an interesting speaker for our 2018 conference on Patriarchy: Fatherhood & the Restoration of Culture. I bet he would be provocative and draw a crowd. His talks are selling out wherever he goes. Besides being hard to get these days (I assume) and perhaps charging a lot (being in demand), Peterson is not the sort of speaker we'd generally invite. Our speakers bring guidance from the Christian revelation and tradition to inform, inspire, and encourage Christ's disciples in the modern world. If we can't find speakers who are rooted in the Christian faith and nourished by it to address timely issues, then we're in trouble. Fortunately, there are many. • Allan Carlson on "Is Patriarchy Inevitable? Lessons Religious & Secular"
• Tony Esolen on "The Boy Genius: Finding Him Again through Fatherhood"
• Rachel Fulton Brown on "Praying the 'Our Father': How Prayer Shapes Reality & What It Means for Fatherhood"
• Nancy Pearcey on "Is There a Father in the House? The Rise and Decline of Manhood in America"
Register today before rates increase next month; book hotel rooms before they sell out. This topic is "hot," maybe not as hot as Peterson and his "lobsters," but we are here for the long haul, in season and out of season. If you have an interest in manhood, fatherhood, family life, join us in October. In the meantime, courage.